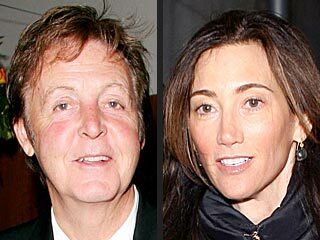 Paul McCartney will be wedding With Nancy Shevell Why and How ? So Firstly Lets Congrats Sir Paul McCartney for the Upcomming Wedding, and lets find out some Interesting plans for their wedding. So a Huge tent is just setted up and all the decorations are being delivered to Paul McCartney's house amid speculation that Sir Paul McCartney will marry fiancee Nancy Shevell in the heart of London means central London this weekend. Paparazzi and well-wishers gathered Saturday at the pop icon's residence in the posh St. John's Wood neighborhood. British tabloids say the couple plans to marry Sunday and have a small reception afterward. McCartney and Shevell posted a notice of intent to marry at London's Marylebone Town Hall in September. Officials say the announcement means they can marry any time in the next year. I know its really a stupid question but i was wondering that yesterday so I thought to Discuss this with you guys. McCartney’s daughter, designer Stella McCartney, designed Shevell’s dress, according to the Sun. Mr. McCartney has a daughter ? and she is 40 ? isn't that odd ? well no offense to the fans of Sir. McCartney I am one of them ! but I am just sharing What I thought ! It is the first time McCartney has written an orchestral score for dance. The ballet will be released as an album in October 2012. For the most part, the couple has kept their relationship private. McCartney was introduced to Shevell by mutual friends a year later. Well you guys can discuss and please that was just a thinking I share with you no offense and not means to hurt anyone and it has no connections in real story as my self I congrats Sit. Paul McCartney.